Fenghuang, Qianjiang and Hongjiang! Tourist service O-Travels.com chose interesting and popular with tourists the ancient Chinese city of Hunan province. All three cities are located in the west of Hunan province, near the city of Huaihua, which is almost five hundred kilometers from the provincial capital, the city of Changsha. How to get from Changsha to Huaihua: A trip to the high-speed train from the station at Changshanan Huaihuanan station at a speed of 300 kilometers an hour will take less than two hours, and the ticket to the first class will cost 256.5 yuan (about $ 40). The ancient city of Fenghuang Ancient Town or Phoenix Town was founded 2000 years ago. Included in the UNESCO World Heritage city of Fenghuang attracts millions of tourists from China and from abroad. In 20 minutes by car from the town of Fenghuang is Tongren airport, making Fenghuang excellent choice for a holiday on the weekend. 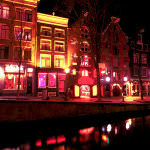 In the evening on the banks of Tuo River in the city has plenty of bars and nightclubs. Near the city of Phoenix is ​​The South Great Wall. Ten million tourists visit annually Fenghuang, and from the 9th April 2016 the authorities abolished the paid entrance to the ancient city. Lodging is at the Phoenix Grand Hotel, probably the best hotel in the city of Fenghuang. Qianyang Ancient Town was founded by 2.2 thousand years ago. The city preserved the house where lived for fifteenth-generation families. 700 thousand tourists visit every year Tsyantszyan. All signs in the city – in Chinese and English. The very old small town – between the streets Dongzheng, Beisheng and Nanzheng, which are ancient memorials and the former residence of urban residents. It is necessary to look into the Museum of stones bizarre nature. The famous Chinese poet Wang Changling worked here he built the tower Furong Tower with 747 for 755 year. Hongjiang Ancient City, was founded in the XIII century, it is considered the first commercial city of China. Under the rule of the Qing Dynasty Hongjiang city was trade and financial center. In the old town amongst cobbled streets and alleys to get lost. It is recommended to visit built in 1723 Taiping Palace and Temple House Baoqing House, as well as see the ramparts Ganqi Wall. Hongjiang City is 50 minutes by car south of the city of Huaihua.